Abu Dhabi Global Market Courts (ADGM Courts), the internationally recognised, independent courts of ADGM, has opened for viewing its fully digital, bespoke courtroom at an event in the ADGM Building on Al Maryah Island. The digital courtroom, the first of its kind globally, is a testament to ADGM Courts’ commitment to delivering an innovative and world-class dispute resolution jurisdiction that responds to the dynamic needs of businesses and investors and defines the quality and delivery of judicial services for the future, reported state news agency Wam. The launch event was attended by Sultan bin Saeed Al Badi Al Dhaheri, Minister of Justice, senior leaders from the Abu Dhabi Government and industry dignitaries. The event was hosted by Ahmed Ali Al Sayegh, Minister of State and Chairman of ADGM, and Lord (David) Hope, Chief Justice of ADGM Courts. The new courtroom is the latest initiative by ADGM Courts to establish a holistic digitalised environment that distinguishes them as leaders in the delivery of judicial services. Just this year, ADGM Courts successfully launched their eCourts online platform that has transformed how civil and commercial courts interact with parties and their lawyers. Together, the digital courtroom and e-Courts platform have created a new standard of judicial and dispute-resolution services in the region and throughout the world. The digital courtroom has transformed the delivery of judicial services with the latest suite of technology and innovative software. The ADGM digital courtroom allows seamless and efficient litigation and court proceedings in real-time, across different geographies and time zones. The advanced facilities of this courtroom offer an end-to-end solution for court cases, integrating innovative technology and creating an optimal environment for paperless hearings. 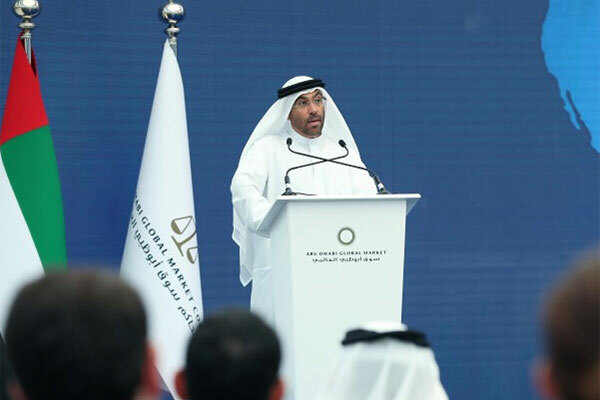 Ahmed Al Sayegh said, "We would like to thank Abu Dhabi’s leadership, our partners in the Ministry of Justice and the Abu Dhabi Judicial Department and the industry, for your support in our pursuit to raise the bar on dispute resolution services." The newly launched digital courtroom will provide locally-based and remote parties access to their digital court files, electronic filing options, case management and evidence bundles within real-time. The system incorporates broadcast-grade live video, as well as audio links, and allows full interaction. It will eradicate the need for hardcopy bundles, increase efficiency and reduce costs. It will also transcend location and time boundaries. It is expected that the new service will significantly expedite the litigation process.